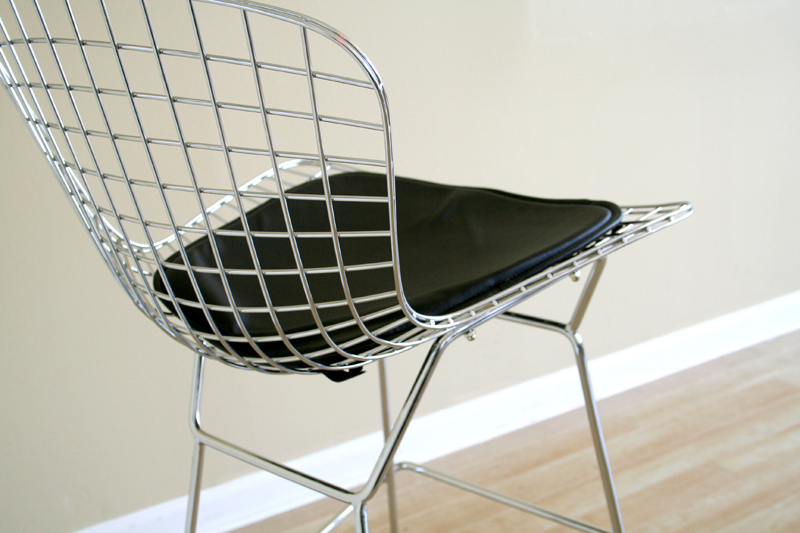 More on the Wholesale Interiors Bertoia Style Wire Barstool (Chrome) 8340 below. Wholesale Interior's Bertoia Style Wire Barstool adds elegance to any room. 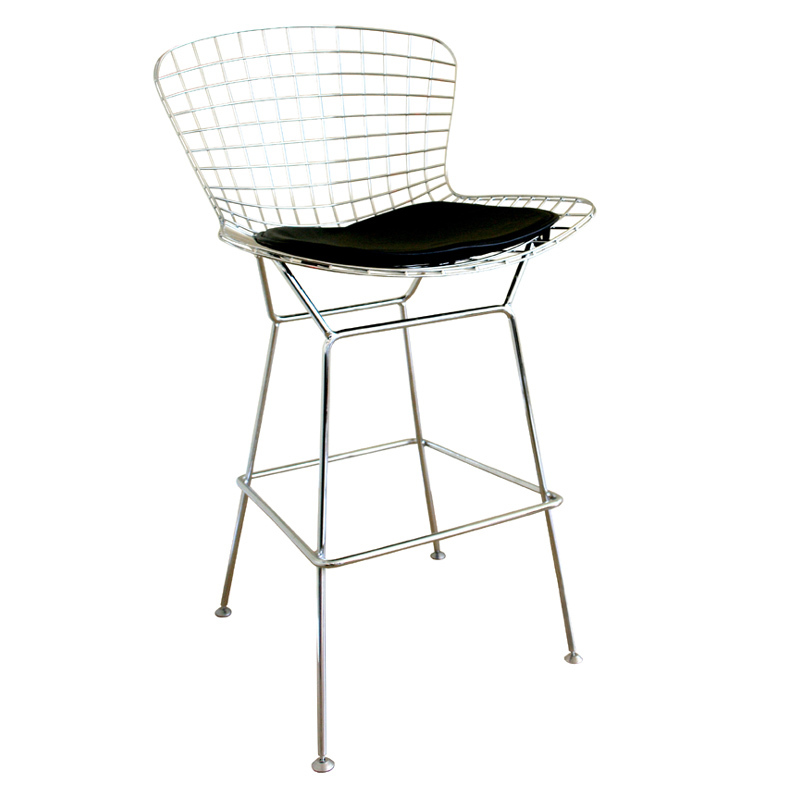 Steel wire mesh barstool with chrome feel. Simple yet stylish design in a geometric shape. Complete with leatherette seat pad for comfort. 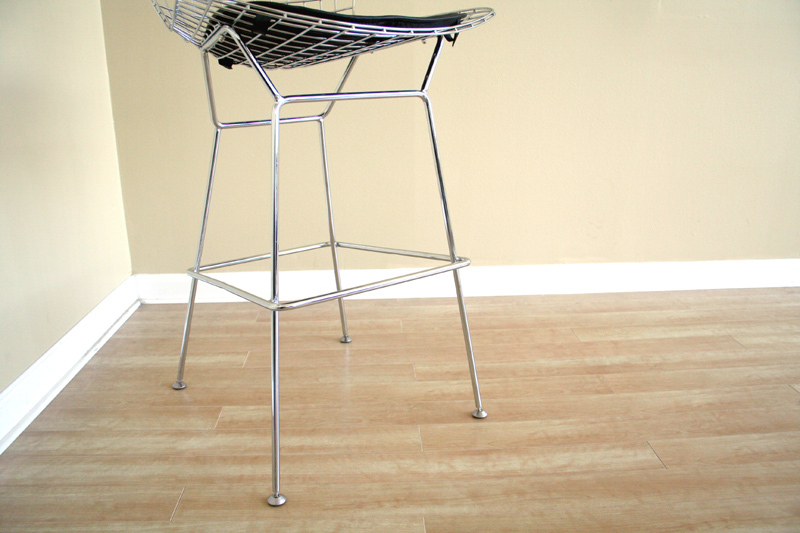 Steel legs with plastic non-slip gliders. Seat Height: 26.25" at the lowest point, 28" at the front, 30" at the front corners. Leatherette Seat Cushion: 16.75"W and 16.5"D.